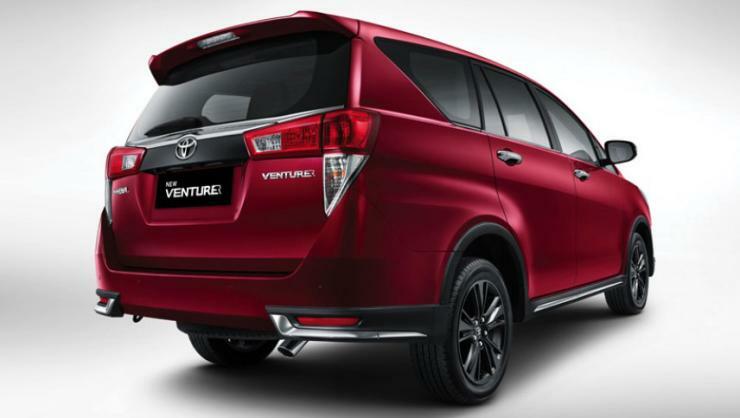 Toyota has lined up a sporty, new variant of the Innova Crysta for the Indian car market. The new variant of the MPV will be launched in April, and is likely to sit at the very top of the Crysta range. The range-topper could also be offered as a special edition variant. 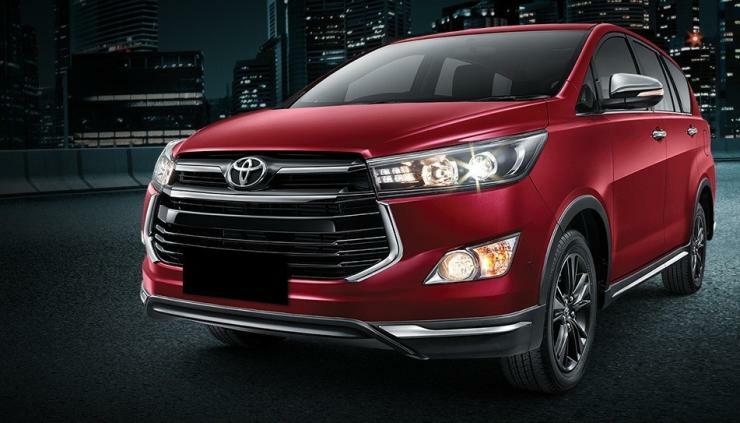 While Toyota’s already launched the Innova Crysta Venturer in Indonesia, the similar variant that’ll be sold in India could get the Touring Sport tag. In India, sporty in most cases means cosmetic enhancements rather than real performance changes. The Innova Crysta Touring Sport won’t be any different. On the outside, the MPV will get a new front lip design, revised wheel arches, side skirts and a roof spoiler. Additional chrome in the form of a strip on the tail gate, grille, bumpers, wing mirror caps and the exhaust tip will make it to the new variant. The 17 inch alloy wheels will get gun metal accents. On the inside, the MPV will receive a 6 seat cabin outfitted with 2 sets of captain seats. Black leather-wrapped seats, and exclusive floor carpets are other notable features on the Innova Touring Sport. Essentially, the Z-variant’s spec of the Innova Crysta will be carried over to the Touring Sport model, albeit with colour combination changes. Presently, the Innova Crysta is available with options of 2 diesel (2.4 and 2.8 liter) and 1 petrol (2.7 liter) motors. Of these, the 2.8 liter GD turbo diesel motor making 172 Bhp-360 Nm is likely to be offered on the Touring Sport, along with 5 speed manual and 6 speed automatic gearboxes. A rear-wheel drive layout will be standard. Suspension is likely to be untouched as well. So, don’t expect the sportier version to drive any different from the regular Crysta. The MPV is a hot seller, with waiting periods for certain variants running into many months. In other words, Toyota has full incentive to price the Touring Sport version of the Crysta at a significant premium over the regular variants. Overdrive estimates that the new variant will be about 70-80 thousand rupees pricier than the top-end ZX variant of the regular Crysta.